Where and how to buy Lucentis? You can get genuine Lucentis from online and traditional retailers. Online retailers usually ask you to simply add the items to your cart, select the quantities and then check out. Before placing an order, you are often required to submit your medical license number for verification purposes. You may also be able to place an order via email, phone or fax. Packaging of Lucentis may vary. You can find packages in various languages, for instance English and also Non-English versions. cOULD NOT FIND THE PRODUCT YOU ARE LOOKING FOR? Contact us! We carry a wide variety of medical products, but we can help find any product you need for your medical practice. To find a product, contact a customer service representative today or fill out our product request form. What does this product come with? Each Lucentis pack contains 1-1ml glass vial of solution and a product leaflet, which contains important information about the product. Read the leaflet thoroughly before using Lucentis. Lucentis effectively treats retinal damage resulting from e diseases such as wet age-related macular degeneration, diabetic macular edema (DME), and macular edema following retinal vein occlusion (RVO). What is this product made of? 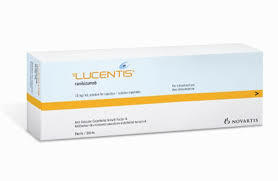 Lucentis is formulated with ranibizumab. In addition to the active ingredient, Lucentis also contains excipients such as histidine hydrochloride monohydrate, polysorbate 20, trehalose dihydrate, histidine and water for injections. How does this work to help my patients? Ranibizumab is a humanized fragment of the monoclonal antibody that lacks an Fc region. Acting as an anti-VEGF agent, it selectively binds to the VEGF-A protein, thereby inhibiting the leakage and growth of new ocular blood vessels. This prevents loss of vision in eye conditions, such as wet age-related macular degeneration. How do I use this product? Administer Lucentis via an intravitreal injection. Use strict aseptic techniques when performing this procedure. Before the injection, administer a broad-spectrum microbicide and anesthesia. You should also clean the eye using an iodine solution before carrying out the injection. A new vial should be used if you need to inject Lucentis into the other eye. Monitor intraocular pressure before (and 30 minutes after) the procedure. You should wait for at least a month before repeating the treatment on the same eye. How long will the treatment take? Usually, it takes 15 to 30 minutes to complete the procedure. 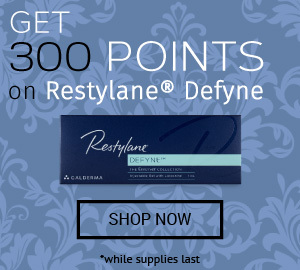 Use Lucentis to treat retinal damage in wet age-related macular degeneration, DME, edema due to RVO, and other conditions. What areas should I use this product on? Lucentis is designed to be injected intravitreally into the eye. Lucentis (ranibizumab) is the only drug approved by the FDA in the treatment of all forms of diabetic retinopathy (with or without DME). Studies have shown that the mean duration of action of ranibizumab is 19.1 days. It is recommended to repeat Lucentis injection every month, depending on the condition being treated. Why should I use this product? Formulated using high performance ingredients such as ranibizumab, Lucentis significantly improves retinal function in various eye diseases. Ranibizumab, a potent VEGF inhibitor, has long been considered the gold standard in the treatment of degenerative ocular conditions such as age-related macular degeneration. Who is this product intended for? Adverse reactions include vitreous floaters, eye pain, and conjunctival hemorrhage. This list may not be exhaustive. Refer to the product leaflet for a complete list of side effects, contraindications, special warnings and precautions. Note on articles: These articles are not endorsed by DoctorMedica nor reviewed for medical accuracy. Similarly, views and opinions expressed are those of the author only. Articles are meant for informational purposes only. Ask your doctor for professional medical advice.